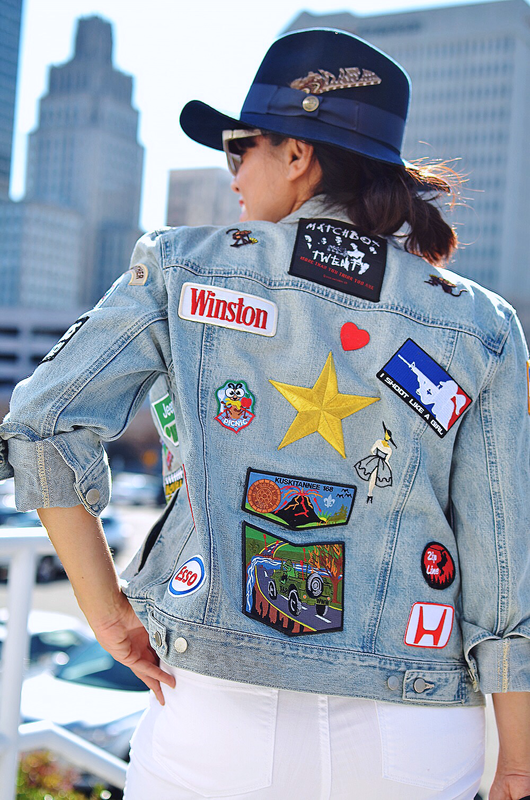 Regardless of your age, there are some DIY projects that can bring some fun to your wardrobe, for example, the patchwork denim. 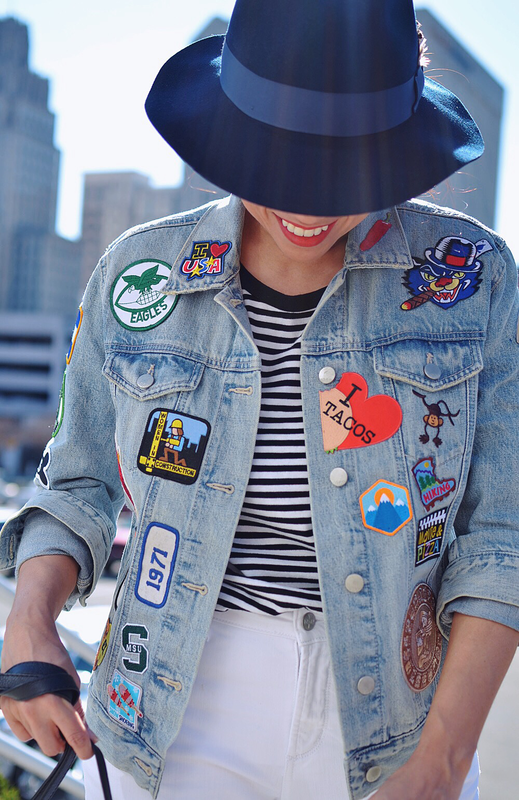 Personalized denim is having a moment right now, but what I like about it is that there's a little bit of nostalgia associated with this trend; think about the 1960's-70's hippy denim jackets or even the Girl Scout uniforms. A while back I started collecting patches, some represent things I love, activities I have done and some facts about my life and beliefs. 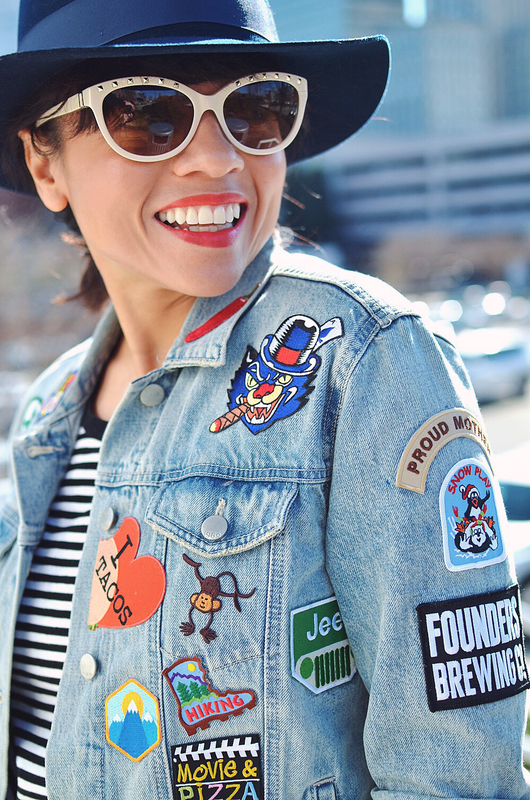 A couple of weeks ago, I finally decided to attach them on my Gap Icon denim jacket. I also bought new ones from Ebay and Etsy to complete my collection. I must confess, I hate to work with needles and threads, therefore the iron-on patches came in more than handy for me. My vintage patches were glued as well, but with a fabric glue that I found at my local Walmart. All the patches are holding up pretty well so far, but I know that eventually I will have to sew them on before I wash the jacket again, but for now, I'm buying time until I find someone that will do it for me. 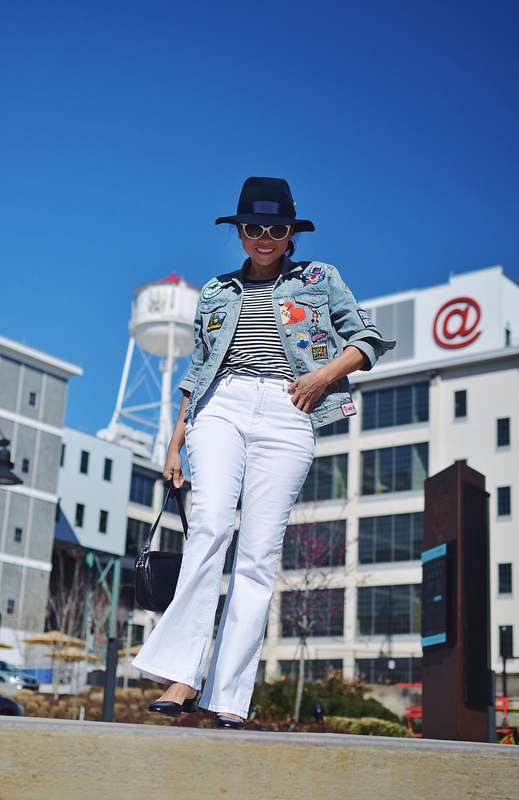 Denim jacket: Gap. Buy here and darker wash here. Jeans: NYDJ. Regular sizes available here (up to size 18) and tall here. Shoes: Marni. One size left here. Sunglasses: Valentino. (sold out) See the black version here. Hat: Goorin Brothers. (I bought it in New Orleans a while back) See similar here. -I love a good cigar, mainly around Spring time. -If the state of North Carolina would let me to have a monkey, I would have three. - Matchbox 20 (Rob Thomas) favorite band/musician. stare at those huge transfer trucks going down the highway lol. - John 3:16 is my favorite Bible verse. - I love the USA! - My favorite bird is the Red Cardinal and it's also the North Carolina state bird. - ET is my favorite movie, EVER. - College football? ...I'm a MSU fan. - Women in construction patch? My life is a work in progress. - I'm a proud mother of two sons of the age of 27 and 20. - My favorite beer so far is from Founders Brewery, located in Grand Rapids, MI. - Love snow play and now, I'm hooked with snow tubing. - My boys and I love IRON MAN! My patched denim jacket is a work in progress, maybe next time you will see more patches added to the collection. By the way, vintage (non-iron) patches are by far better in quality and they stay put pretty good when using fabric glue. Ok, I hope you liked my jacket and maybe you feel like making one yourself or you can buy one already made. 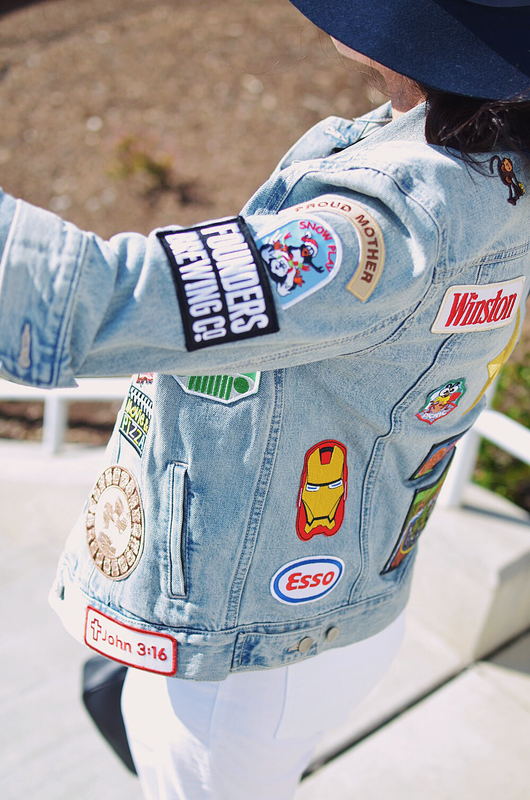 I personally like the idea of wearing a jacket with patches that have a meaning to me. No? I hope you have a wonderful weekend and DON'T FORGET TO ENTER A GOLD NECKLACE GIVEAWAY HERE!!! Thanks! this trend has been around since the 70's and it's so easy to do. Some are souvenirs from trips and some come from vintage stores, Ebay, Amazon and Etsy.